Following a disappointing 1-2 performance in the Maui Jim Maui Invitational, Indiana returns to Assembly Hall tonight to host Alcorn State. The Braves are 0-5 and are ranked No. 348 in KenPom out of 351 Division I teams. The game will be broadcast on BTN at 7 p.m. ET with Jeff Levering and Joe Crispin on the call. Indiana will take the floor tonight in Assembly Hall at a crossroads. The Hoosiers lost the fifth place game in Maui, but Monday’s loss to Wake Forest came at a heavier price. By falling to the Demon Deacons, IU lost several opportunities to build a non-conference resume. 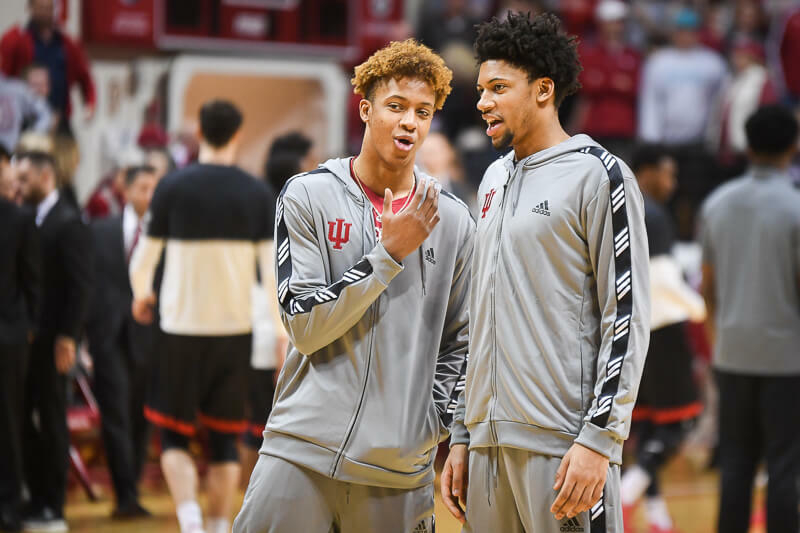 Rather than facing teams like Vanderbilt and Kansas, Indiana’s non-conference schedule is now severely lacking from a strength of schedule perspective. 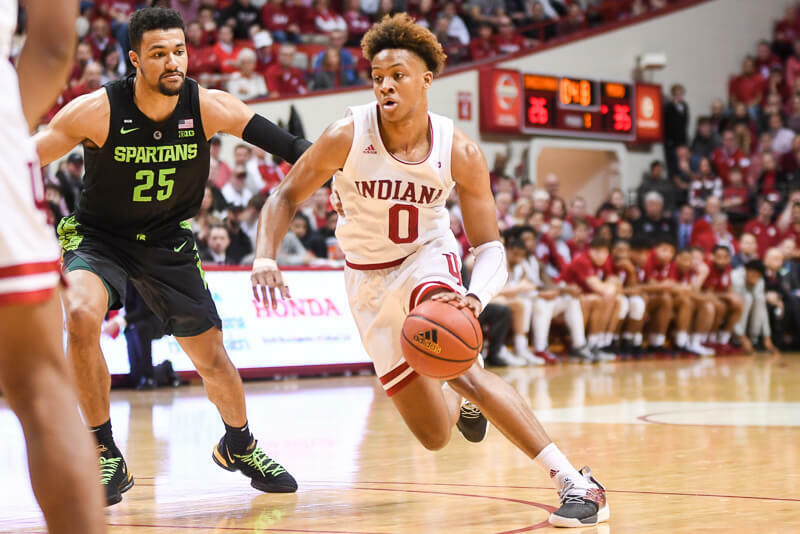 The Hoosiers have seven games remaining before tipping off Big Ten play and just two of them (Duke and Notre Dame) present an opportunity for a win that belongs on a resume. Tonight’s opponent – Alcorn State – is the worst team on the schedule. But with a trip to Duke just two days away, it is important for Indiana to regain its footing following a trip that, at some level, had to harm its confidence. More importantly, Indiana needs to begin cleaning up its turnover problem before it goes any further. Entering tonight’s game, the Hoosiers rank 338th out of 351 teams in terms of taking care of the ball. A team built on offense isn’t going to win when it’s giving away 23.9 percent of its possessions due to sloppy play. The defense needs work, too. But the turnovers are what could really derail an IU season that held great promise just one week ago. Through three games, Alcorn State has three players averaging in double figures. Junior forward Marquis Vance, leads the team in scoring (11.2 ppg) and rebounding (7.8 rpg), but is shooting just 38.5 percent from the field. Patrick Onwenu, a 6-foot-6 senior, is Alcorn’s second leading scorer at 11 points per game, but like Vance, isn’t efficient. He’s shooting just 38.8 percent. And Reginal Johnson, a 6-foot-5 sophomore, is the third Brave averaging in double figures at 10.8 points per game. He’s shooting just under 43 percent from the field. Johnson is 7-of-16 on 3-pointers. Guard Devonte Hampton will play plenty of backcourt minutes, but has a woeful turnover percentage (33.3) and shoots just 35.9 percent from the field. Simply stated, this is a team with very little in terms of firepower or talent. Alcorn State’s numbers are what you’d expect out of a team that is 0-5: not good. The Braves have actually been worse than Indiana at taking care of the ball this season and rank in the bottom ten nationally in adjusted offensive and defensive efficiency. 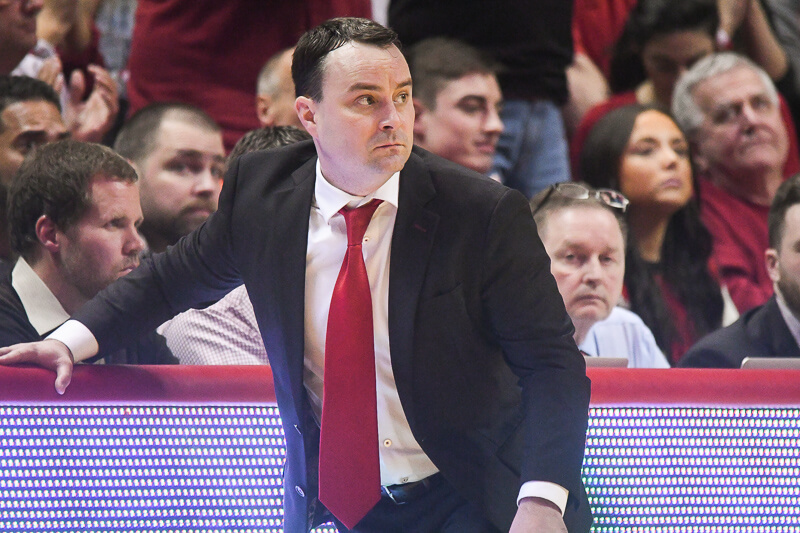 The Hoosiers should be able to do what they want when they want tonight, so we’re unlikely to learn much about where this team stands heading into Wednesday’s tilt at Duke. However, even if Indiana can’t control the quality of its opponent tonight, it can control its decision making, which needs to show significant improvement. Vegas opened with Indiana as a 38-point favorite and as of this morning, the line sits at 34.5. 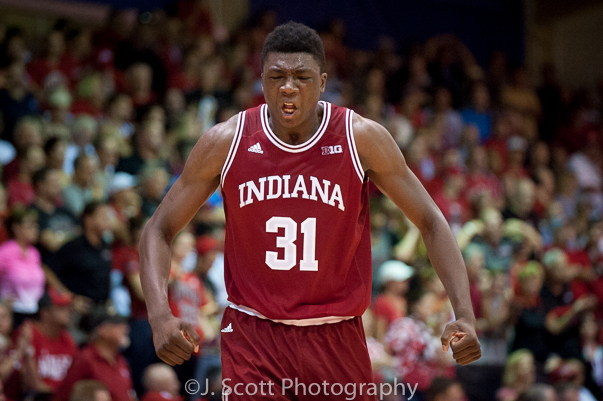 Pomeroy favors IU by 32 with a 99 percent chance of victory. Sagarin, when accounting for homecourt, likes the Hoosiers by 38.5. This game should not be competitive, but Indiana needs to treat it as an opportunity to get back to the basics. Making the simple play and taking care of the ball top the list of things to watch for along with locking down a clearly overmatched opponent. We may not learn much about Indiana tonight, but just two days remain until the Hoosiers get their stiffest test to date: a trip to Cameron Indoor Stadium. I don’t have a solid reason, but I just don’t like Mike Woodson. Historically, good college coaches don’t translate to the NBA and vice versa. His career numbers as a coach are pedestrian at best. I just don’t see it. I’m sure he still wants your business, Ken. I am not sure how the business operates but there may be a good reason why pay pal works best for this site. I’m sure for security reasons. I don’t venture to many other Indiana sites. Are they as on edge over there as we are here lol? Well there isn’t a lot of commenting going on.. They don’t tend to attack the other posters when there are comments.. and They also give time to Football and basketball pretty equally.. It’s really not the same as the Forum at all.. but they do cover stuff very well. Love your list and was wondering on your thoughts on Bryce Drew? Has finished first in his conference 3 of the last four years, and has his team in great shape to do so again this year. Is young for a head coach (41) but comes from a coaching family. Of course his older brother is the coach at Baylor, his father was the head coach at Valpo for years before Bryce was. Which also means he has a great deal of experience already recruiting Indiana. He also has NBA experience as a player which could be beneficial for recruiting. And of course he has Valpo 14th nationally in defense according to Kenpom. He is my number one non Stevens candidate. I also like a pair of big east coaches in Chris Mack and Ed Cooley. Just a few years older than Drew. First Xavier has been pumping out quality head coaches the last decade or so like UK has NBA players. And Cooley has done a great job restoring Providence and has them off to a pretty darn good start this year. Really? I think Woodson has done a pretty good job given the talent he has had. Got Melo to play defense for a year and a half and did a fine job building the Hawks. Defensive first guy who lets his best players make plays on offense. I personally like him more than Whittman. Whittman is nearly as bad offensively as Crean is defensively. And it just feels like the Wizards have regressed big time over the last three years. That is pretty neat. Exciting time for football with a bowl game looming. I may have to try the site out some time. Stay well and warm. Go Hoosiers.